People will consider this is just an ordinary shaving cream. But in fact, there is a professional spy camera inside this beautiful shaving cream bottle. The spy pinhole camera is set in the bottle internally. 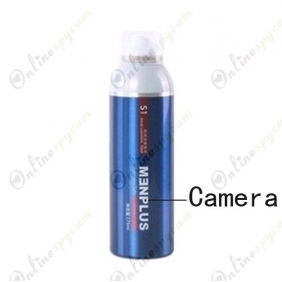 From the surface of the bottle, you can’t discover the pinhole camera easily. The resolution of the camera reaches 1280*720, so you don’t need to worry that the quality of the video which the camera shoots is not good enough.With the support of a high capacity battery and a 16GB memory card, the camera can work continuously about 10 hours. 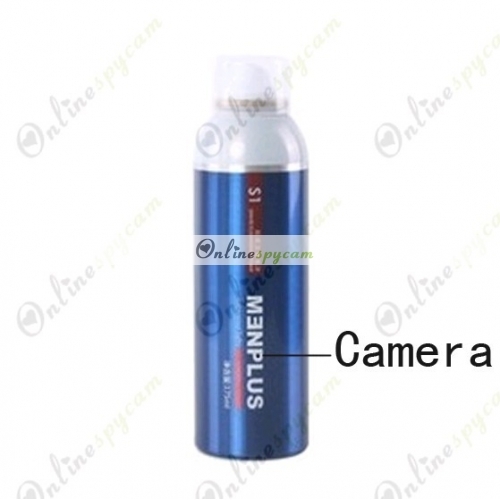 For its good disguise, this Shaving Cream Hidden HD Bathroom Spy Camera is really a good helper of CIA agents, police, detector, and spy agency.